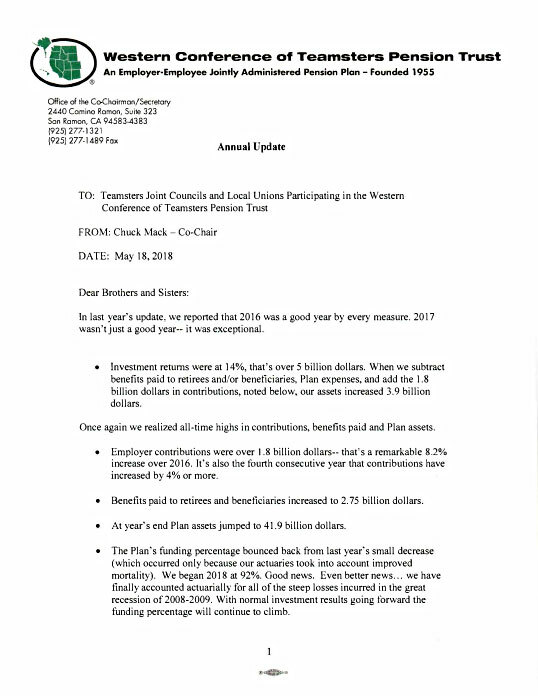 Read the letter dated May 18, 2018 from the Union Chairman of the Trust to Teamster Joint Councils and Local Unions participating in the WCT Pension Plan. He provides an update on the Plan’s most recent investment performance and funding status while explaining both the challenges and opportunities in the year ahead. Please click here to view the Chairman's letter.